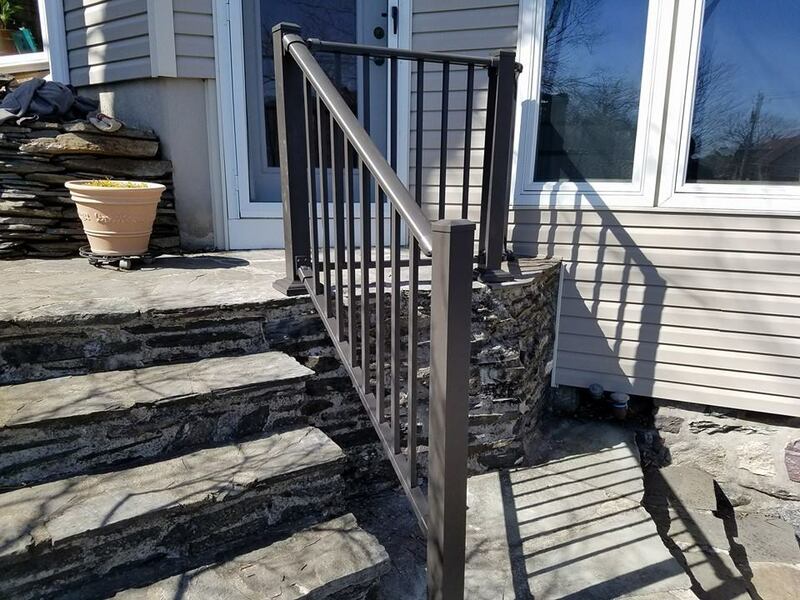 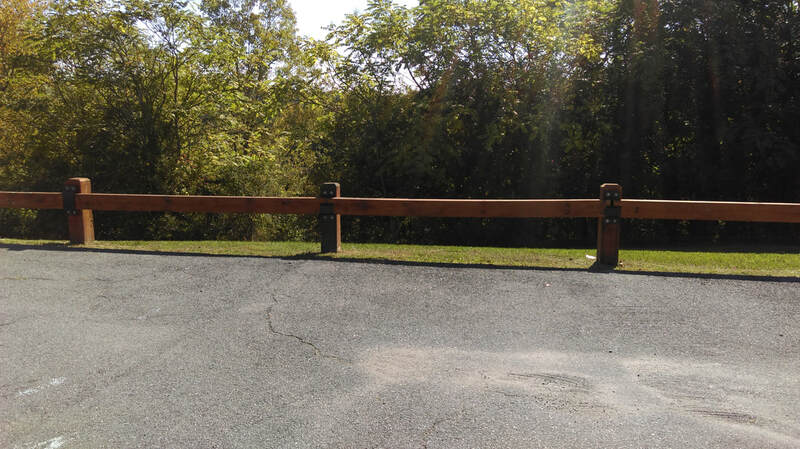 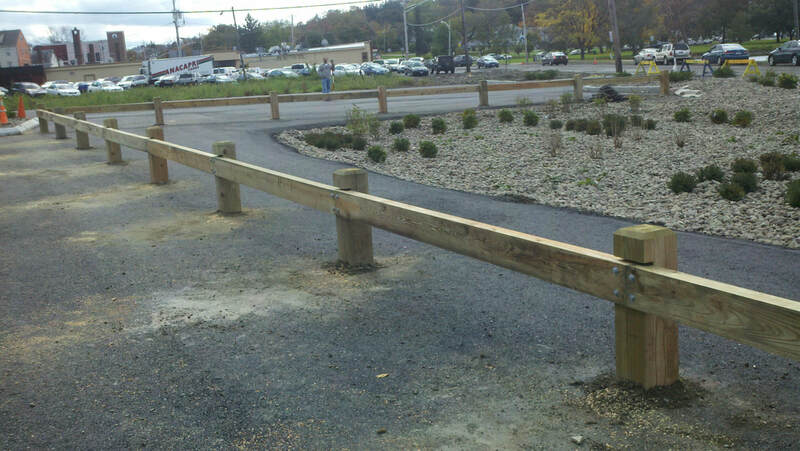 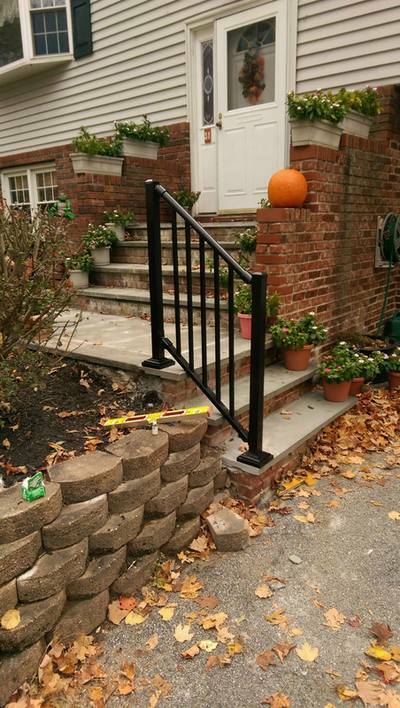 Protection Fence Co - Specialty Arbors Railing Guardrail Trellis Pergola - Protection Fence co.
We build and install Arbors, Railings, Guard Rails, Grape Trellises & more! 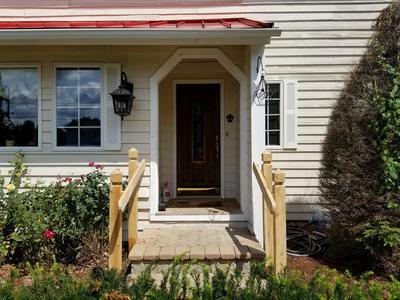 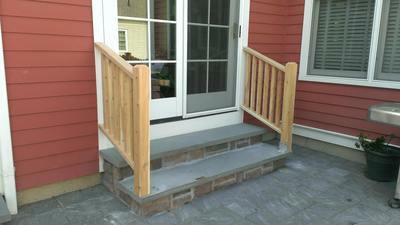 We have the tools and the expertise to tackle many home improvement projects. 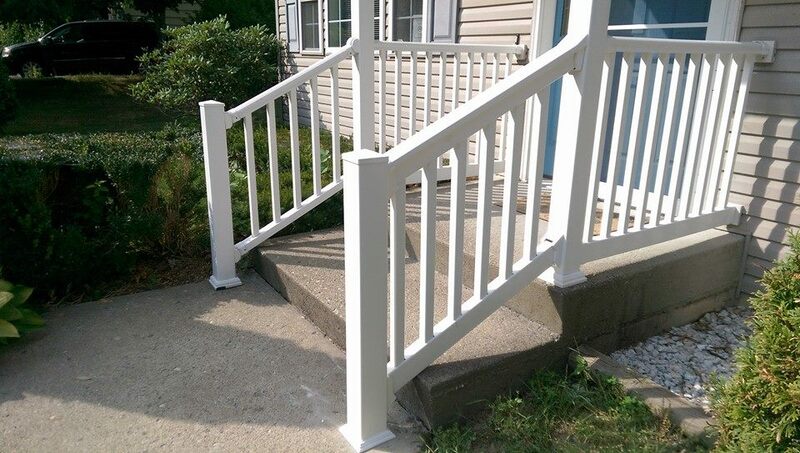 Give us a call to find out how we can help! Custom "grand arch" arbor with 2x2 gate and wings in Protection Fence style. Extra wide flat top arbor. 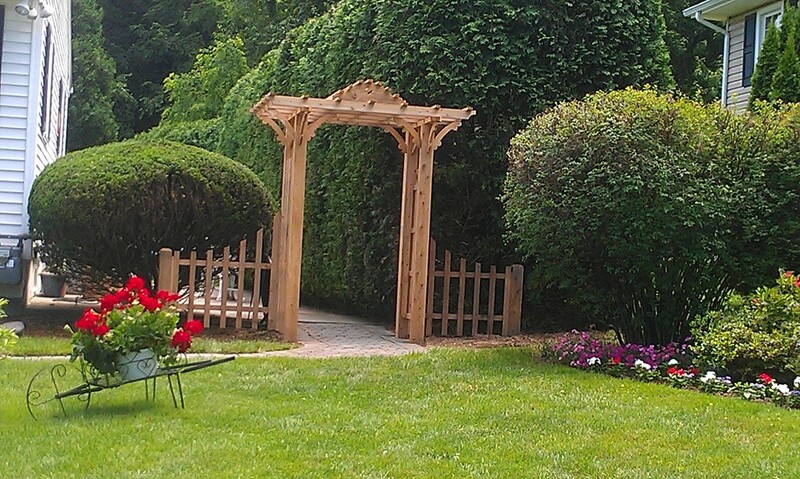 Custom domed arbor top. 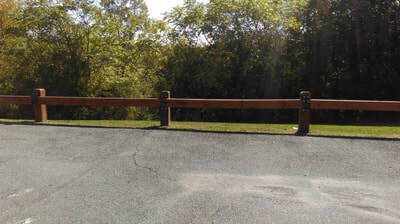 Only 2 posts. 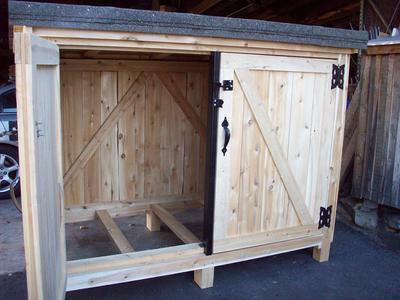 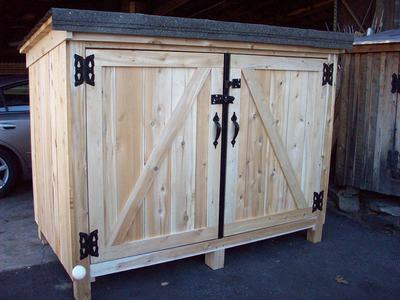 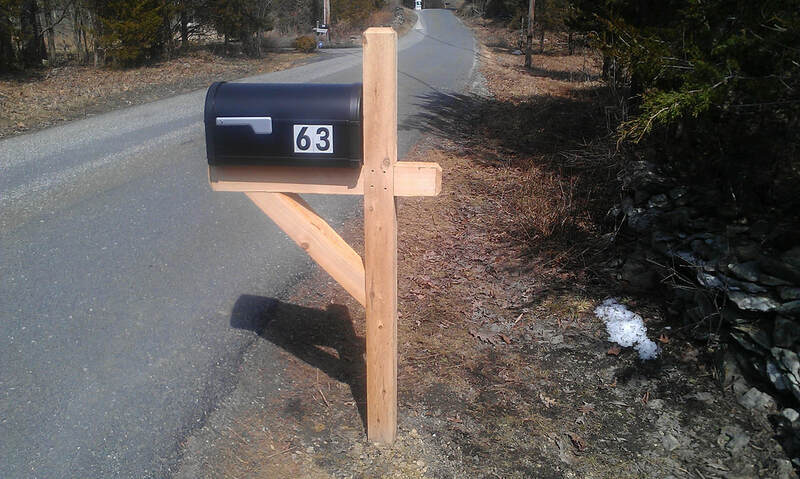 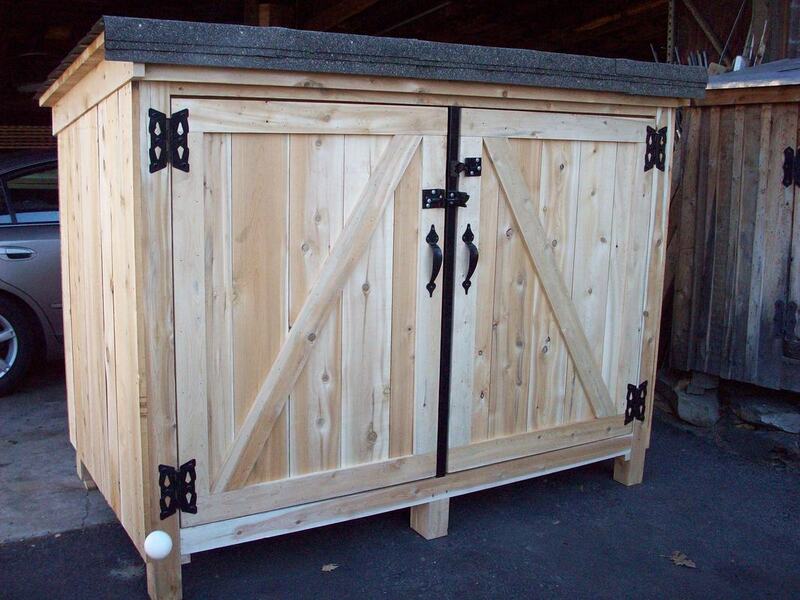 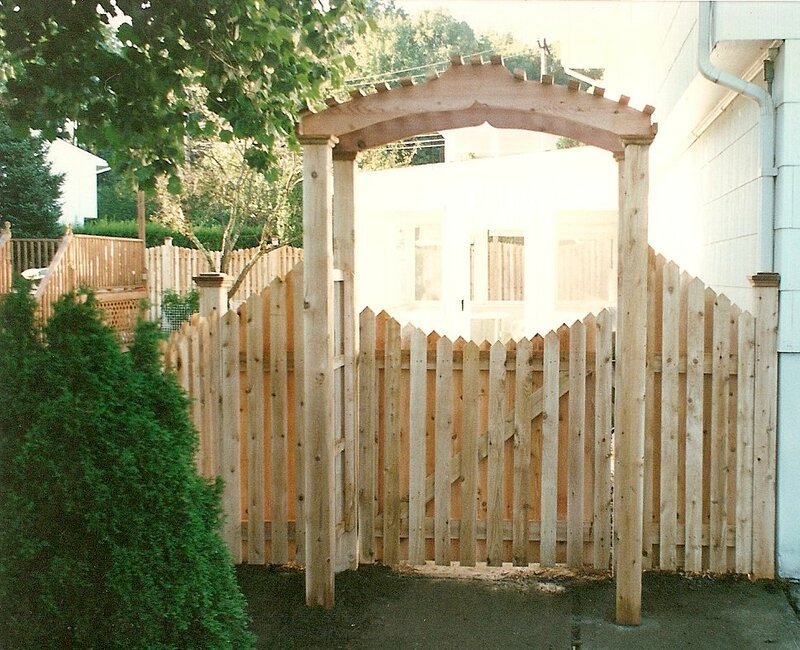 With 1" spaced picket, scalloped, dogeared gate. Custom flat top arbor with decorative pineapple topper. 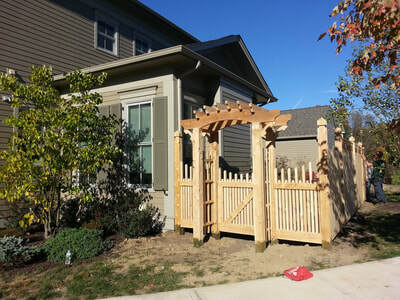 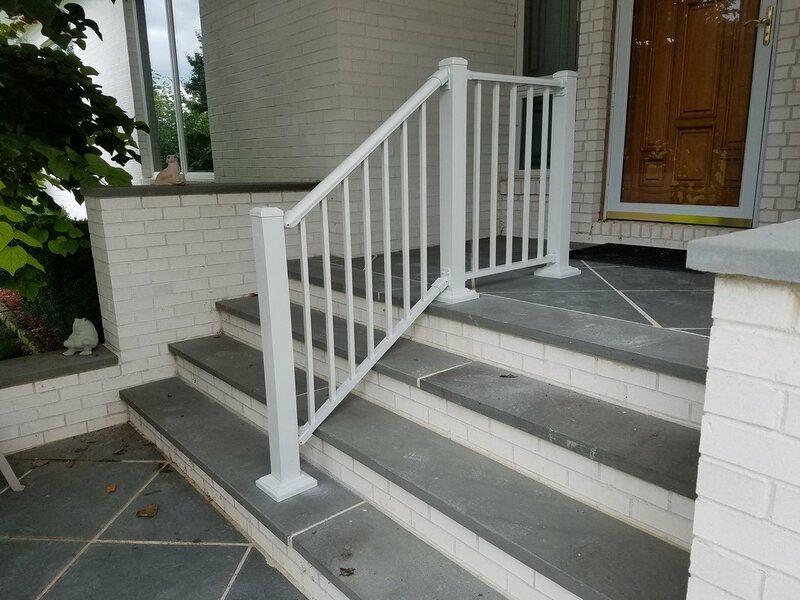 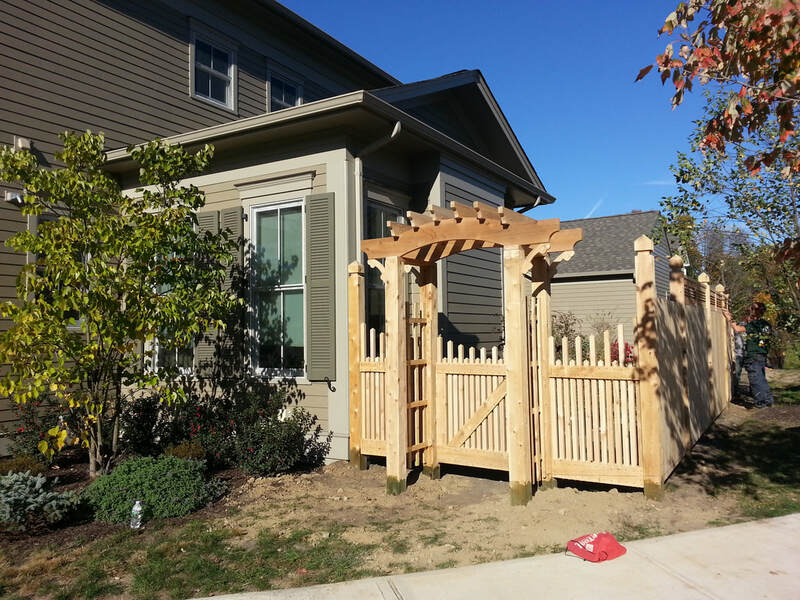 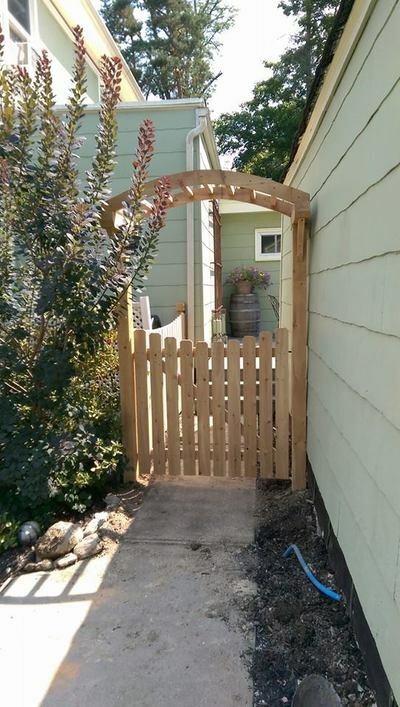 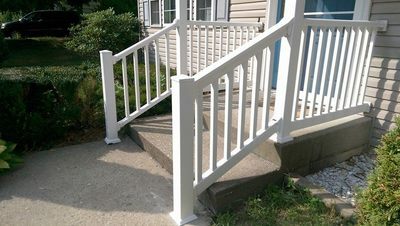 Custom height spaced picket gate, dogeared, scalloped. Custom arbor top with slipover post caps and diagonal lattice sides. 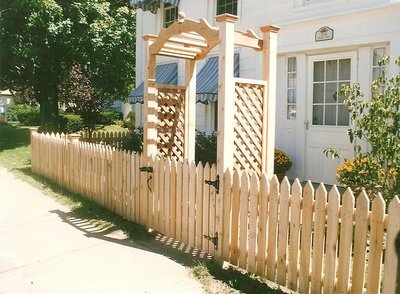 3' tall sharp pointed straight picket fence. 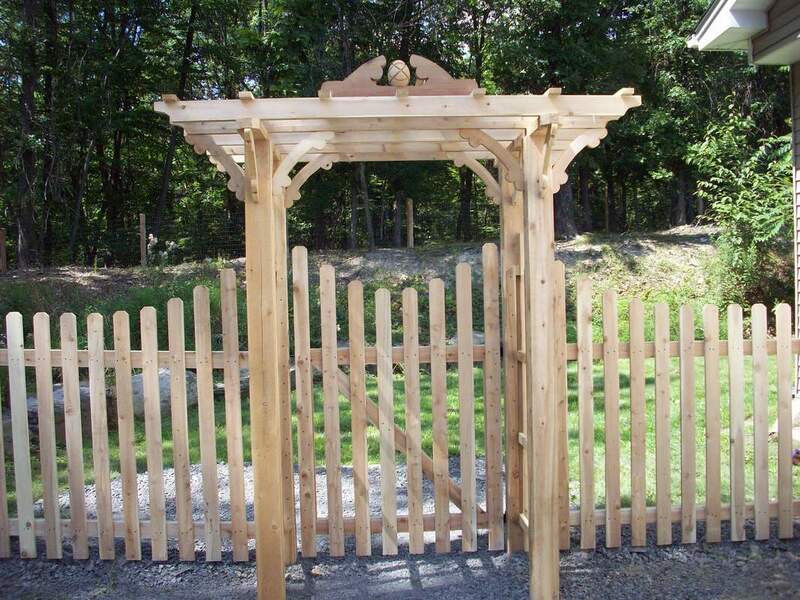 Standard arched arbor topper. 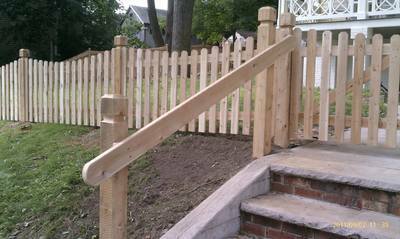 Board on board gate and wing sections. 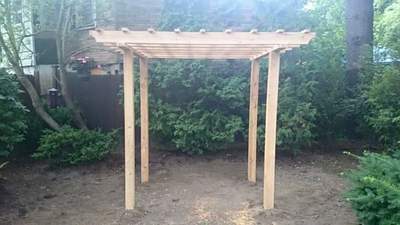 Standard flat arbor with domed topper and standard 1x2 wing sections. 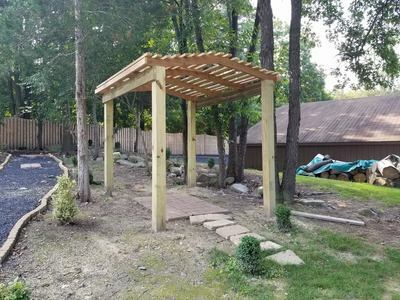 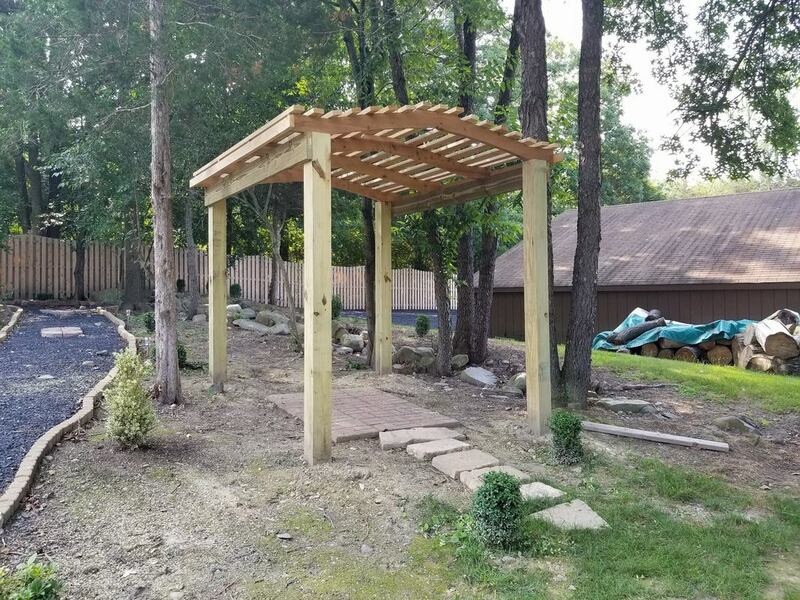 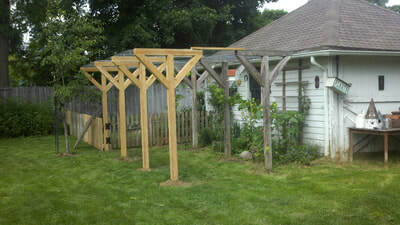 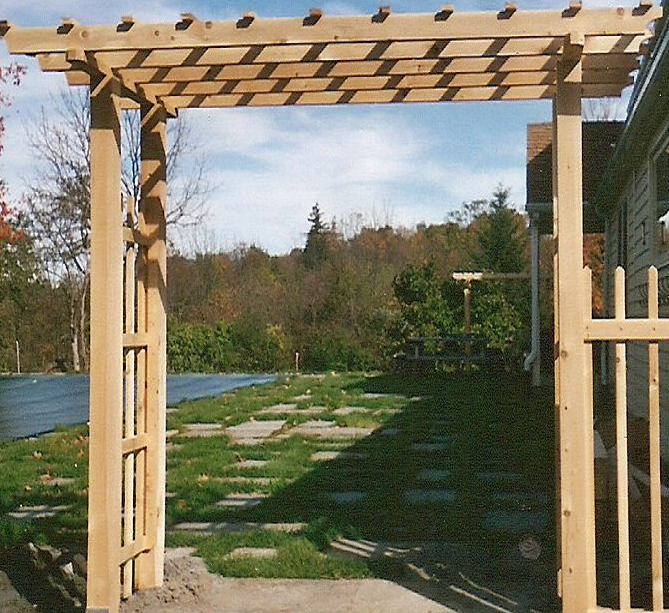 Custom pergola/ flat arbor, no sides. 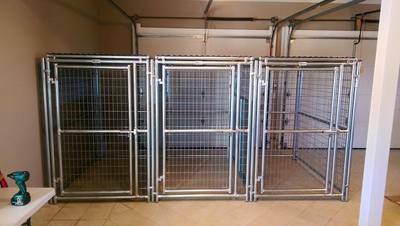 Garbage enclosure. Keep those wild animals away from your trash! 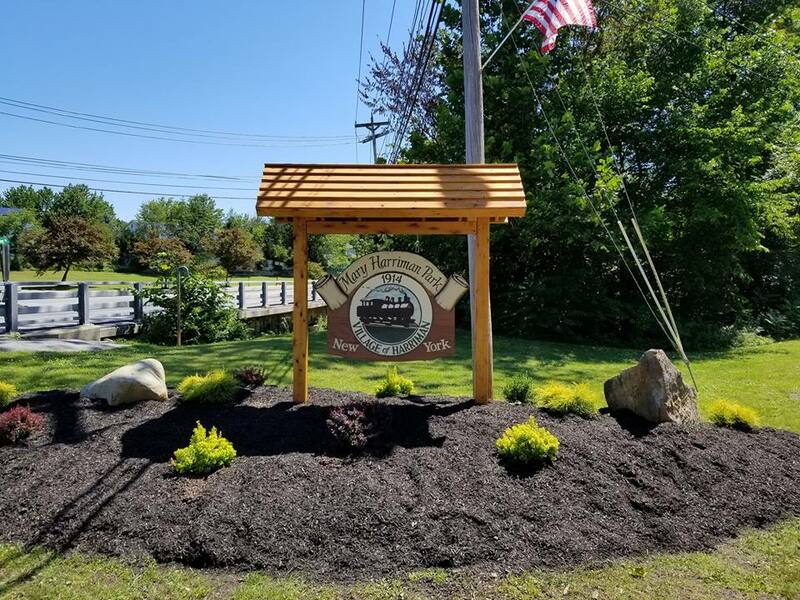 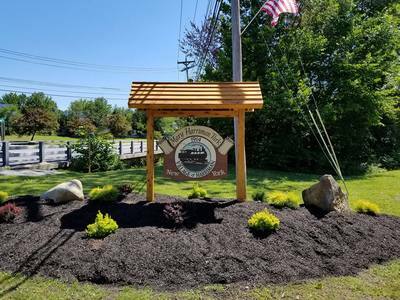 Sign canopy for the Village of Monroe, NY ponds. 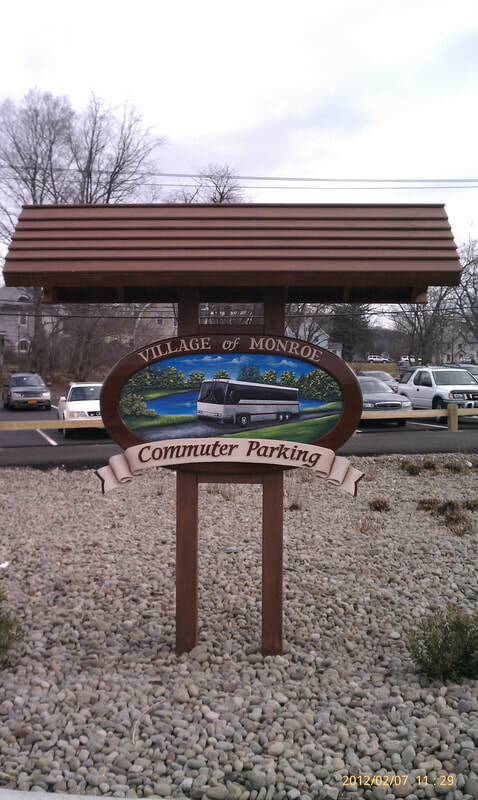 Sign canopy for the Village of Monroe park and ride. 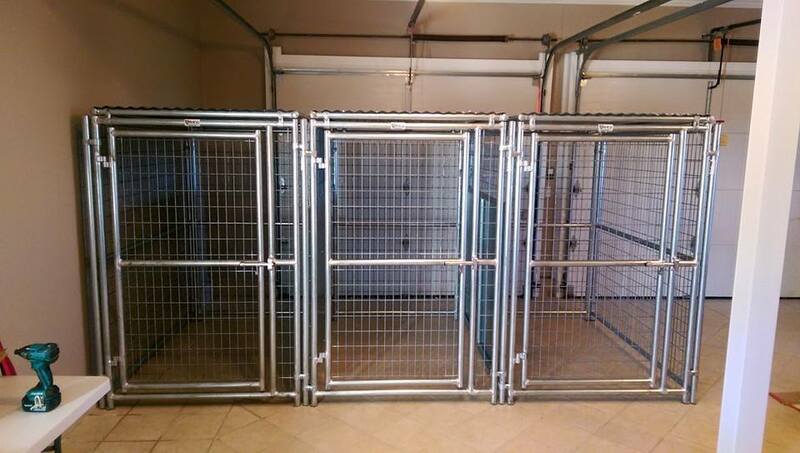 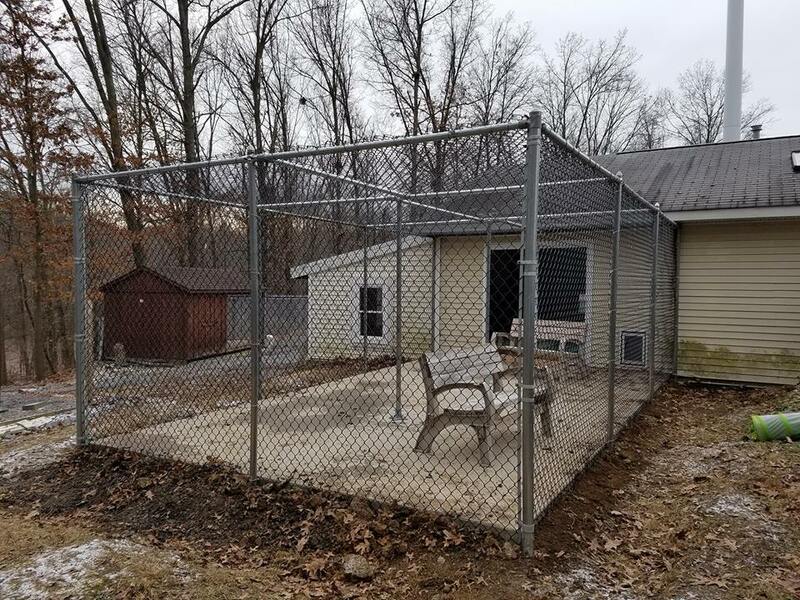 Outdoor chain link cat enclosure! 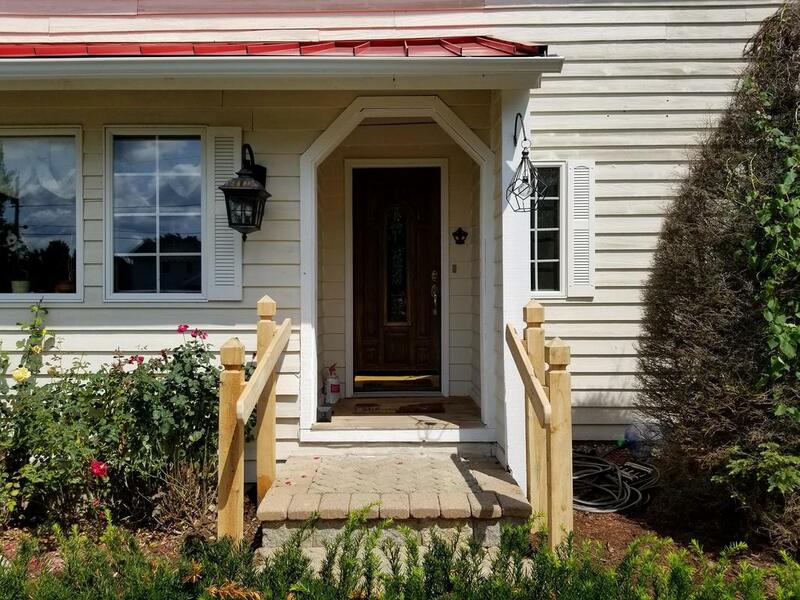 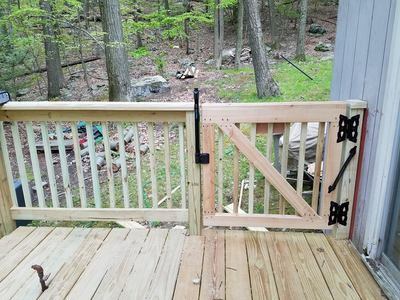 Deck gate in a 2x2 design. Top pull Magna Latch and spring. 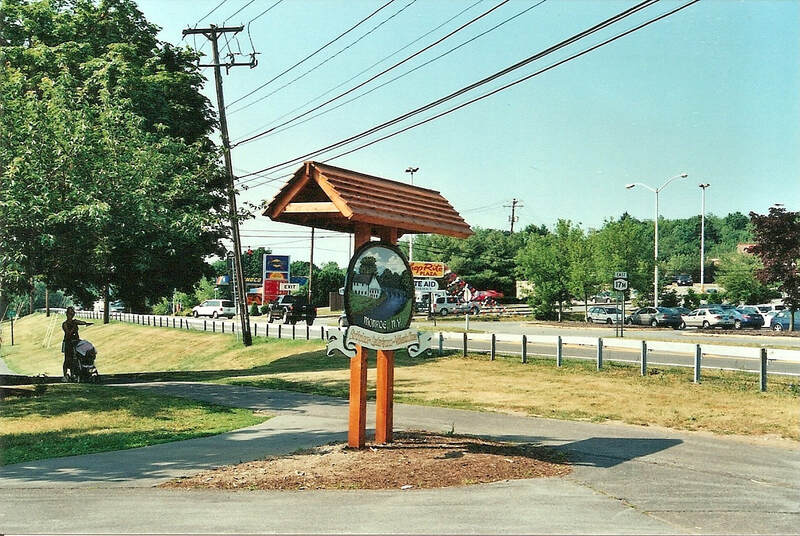 Sign canopy for the Village of Harriman, NY Mary Harriman park.